The Driver app is a mobile application that drivers use to manage their passengers. The app is available on both Android and iOS; users can download it for free on their phone. Once the app gets installed on the Driver’s phone, they need to log in using their station’s given log-in information. When new rides get created, Quickride’s algorithm will assign the ride to the Driver. From the app, the Driver will see the passenger’s information. Drivers don’t need to worry on who goes first as the app will arrange the rides for them. The app has a built-in navigation system that will provide the Drivers with turn-by-turn instruction. 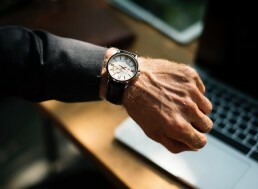 Drivers are also provided an ETA on when they can expect to arrive at the customer’s location. With the Driver app, Service Managers can download or extract a report at the end of the day. This report will include all the ride details, who created the request and which Driver completed it. 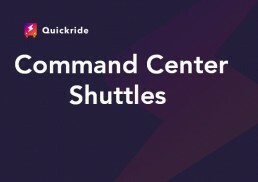 The command center stores all information about the ride. The ride report will contain the passenger’s ride request, who created it and which Driver it got assigned too. Everyone can see where the shuttle is at all times. Even passengers have a web link where they can see the shuttle. Everybody has a role to play, with high-level visibility, this prevents short-cuts in the process. We have designed the Driver app to simplify the lives of the Drivers. Increase the dealership’s satisfaction scores. And organize the way the Service Department manages their shuttle service.